Granite is a tough, heat resistant stone that perfect in hiding soil. In about a period of one year, granite will have luster loss and wear down on it sealer. It will need to be sealed and deep cleaned (restoration) yearly to restore its original appearance, having the smooth texture when touched, and protect it from any damage in the future. At Modern Stone Care we not only restore your granite floors but also repair chips, cracks, along with holes in our granite floor repair restoration services. A lot of flooring companies would avoid working with granite because of it’s difficult hard surface but not us, we have the skills, knowledge, and proper training to restoring the granite in your home. With our granite polishing service we first evaluate and closely look to see how its makeup. The procedures for granite can vary depending on the types of granite If you want your floors restored to its marvelous original look. Modern Stone Care granite polishing process will restore your floors with a fresh, clean look and a smooth feel when touched. Even though granite is resistant to mold and mildew, granite floors can dull and lose its shine without proper maintenance and care. That is why it is imperative to have them professionally cleaned every so often. The caring and maintenance for granite is different than marble care and maintenance. The first thing is understand that granite is a harder stone than marble, and granite typically not etch, but the cleaning process is still the same. It is recommended to use a stone safe neutral stone cleaner when cleaning the surface of granite. Modern Stone Care only use our employees for ALL our jobs, no sub-contractors. We have the latest flooring equipment and we use professional grade granite polishing products on all our granite polishing jobs. With the supplies and sealants we use, your floors will look fresh and clean back to it’s original shape. 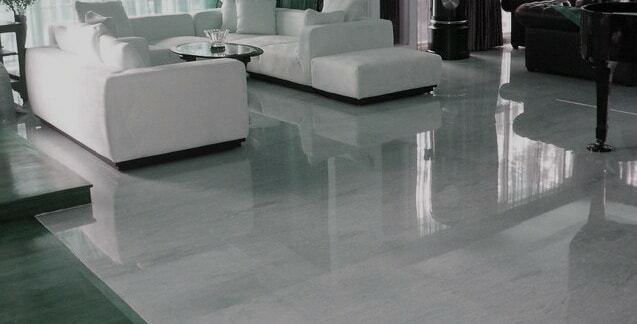 To find out more about granite floors and the difference to polishing marble floors along why it’s an excellent addition to your home contact the natural stone flooring specialists at Modern Stone Care.